At a time when the Central Government has initiated strong moves to detect the illegal Bangladeshis in Assam, a gang of six suspected Bangladeshi criminals involved in running a ‘robbery racket’ have been arrested in the national capital. The gang of six, involved in at least hundred robberies and burglaries in the past one year, has been arrested on Saturday late evening. 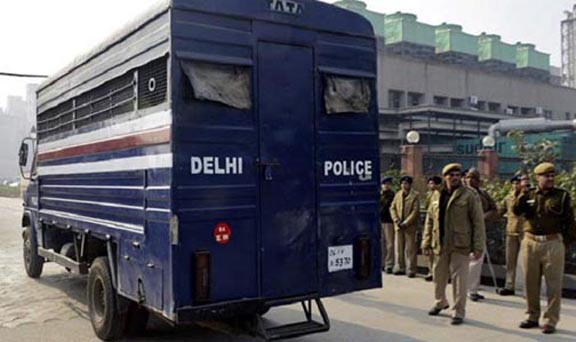 Police said, the accused had been taking shelter in northwest Delhi’s Jahangirpuri area and even managed to procure voter I-cards and ration cards. Police said that the accused, Nizam, Sheikh Rafiq, Sheikh Anwar, Shabid Ali, Jainel and Riyaz used to travel in an auto through the day after doing recce of locked houses, and would break into these houses at night. After committing back-to-back heists, they would return to Bangladesh or hide in remote areas of West Bengal and return to Delhi after a few days. The police started looking for one single gang after finding similar modus operandi, entry and exit patterns, and appearance of suspects in several incidents. The police team started a massive manhunt to nab the gang. Sources soon tipped off cops about the location of these criminals who used to call themselves members of the ‘Nizam and Rokha’ gang. Late evening on Saturday, all the gang members were arrested, police said. “After committing the crime, the accused persons used to leave Delhi to West Bengal and Bangladesh for some days. During the course of interrogation, the accused further disclosed that they have recently intensified their criminal activities so that they could accumulate enough wealth to fly off to Saudi Arab and start up their own business,” the police said. The police have recovered diamond and gold jewellery worth Rs 15 lakh and 20 mobile phones from the accused. Three loaded pistols, the auto used by the gang, master keys and house break-in instruments were also seized. Police are confirmed about the involvement of this gang in at least 45 cases in the past eight months across New Delhi.